QUALITY, STABLE AND GREEK NETWORK. multi-gigabit private network with 2N optical fibers. needs of the markets in Greece, Cyprus and the Balkans. 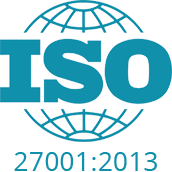 information security, it is ISO 9001:2015 and 27001:2013 certified, respectively. providing specialized cloud computing and telecommunications services. providing the full range of cloud and data center services. Because in Lancom we do not compromise on anything less than providing you with prompt and reliable technical support. With the strongest team of certified network engineers and system administrators, we are there for you even in the most specialized technical and network issues.